Work is such a crucial part of our life, and yet we often struggle with—and feel overwhelmed by—the numerous challenges it presents us. Whether it’s job insecurity, making peace with or leaving an unfulfilling job, or dealing with office conflicts, we often experience fear and a sense of groundlessness just at a time when we want to be our most creative and resilient. Drawing on Buddhist philosophy, Michael Carroll, a longtime human-resources executive, meditation teacher, and executive coach, explains how the practice of mindfulness—full awareness of our moment-to-moment experience—can help us become more confident and open to possibility in our work life. 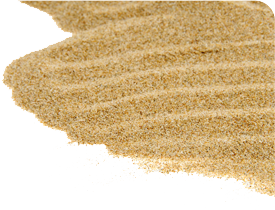 He offers a system of potent, inspiring principles that we can use as a practice for helping us work with our insecurities and awakening our natural bravery, resourcefulness, and resilience. 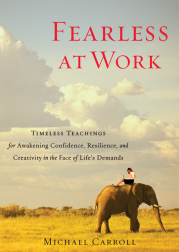 “Fearless at Work tackles the challenge of spiritual development in an extraordinary setting—the workplace—while focusing on the greatest disabler in that domain: fear. The book offers valuable guidance for developing a personal meditative practice in order to be fully present for the people we serve as leaders and colleagues, so vital in these times of dramatic change in our shared global workplace. Fearless at Work is a hugely valuable guide for spiritual practitioners at work!”—Richard Bowles, PhD, Former Chief Ethics and Compliance Officer, Merck & Co.